YFFUSHI is the Brand name belongs to Big Brothers . We are focused on selling Men's Clothing and the related accessories. We guarantee the style is the same as shown in the pictures. Please notice these features when you shopping on our store. 1.We will ship out your orders within 3-5 business day by China Post or other commercial post service . The packages will usually take about 7-15 business days to be delivered to you . If you need any expedited shipping service , please feel free to contact us . 2.Please be aware that colors might look slightly different in person due to camera quality and monitor settings. 3.To ensure your best fit, please check the size chart or contact us before you place the order. This suit is styled in a more relaxed fit than our Modern Fit Tuxedo ( B017SKYAP0 , B017SKY2VC ). 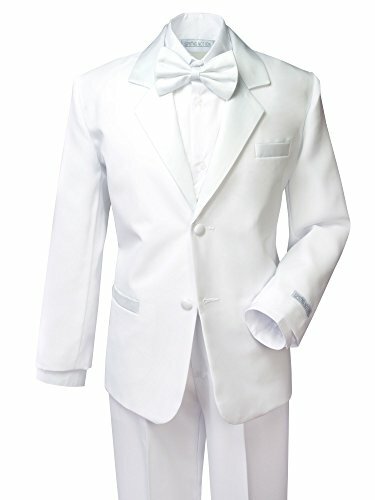 It's a complete set including shirt, bowtie, vest, jacket and pants. SUCCESS SPRINGS FROM CONFIDENCE,CONFIDENCE RESTS ON PREPARATION. 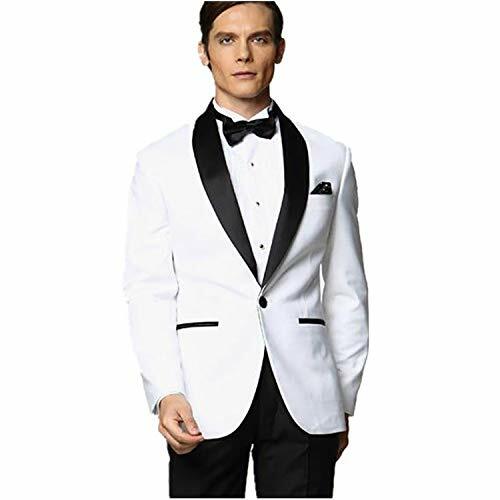 Look the part in one of our classic and stylish Tuxedos. 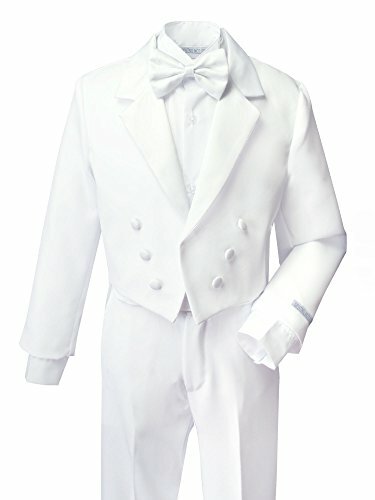 Make an impression at that black tie event, evening wedding or prom. 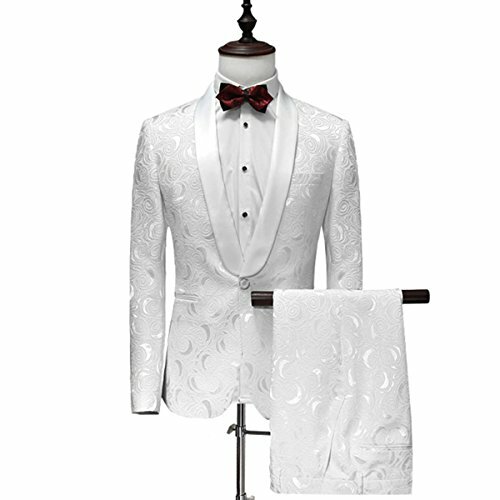 Yes we said wedding, try an alternative to the 3 piece suit and opt for a dinner suit and bow tie. 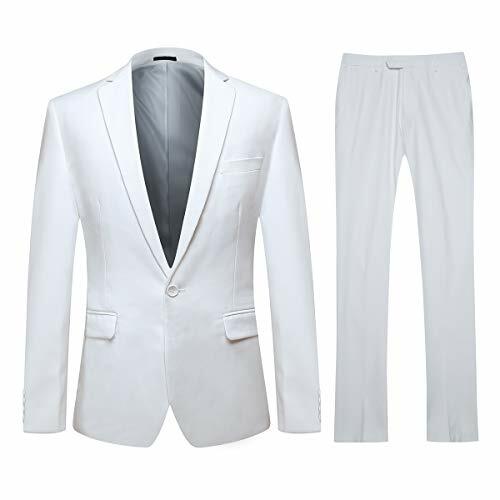 Teaming your tuxedo with a crisp white dinner shirt is key, not forgetting a pair of sharp cuff-links. 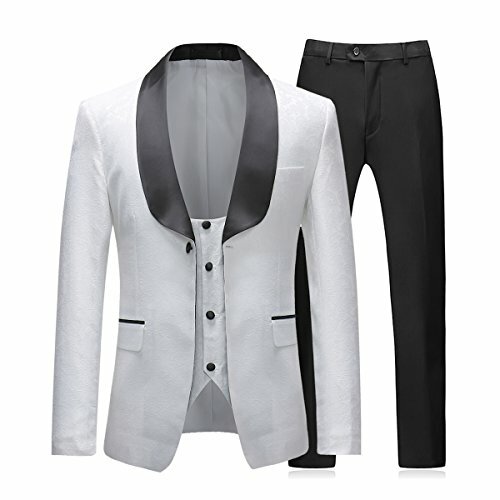 Product Description: Style Type: Formal,prom, wedding etc Pattern Type: Wedding Prom Black Tie Event Fit Type: Slim Fit Collar: Wide Shawl lapels Close Type: Single-breasted One Button Applicable Season: Four seasons Material: Cotton Blending Unit: 3 Piecet 1.4-6 days shipping by Business Express such as DHL, FedEx, Ups etc. 2.7-15 days shipping by Global Logistics such as E-Packet. 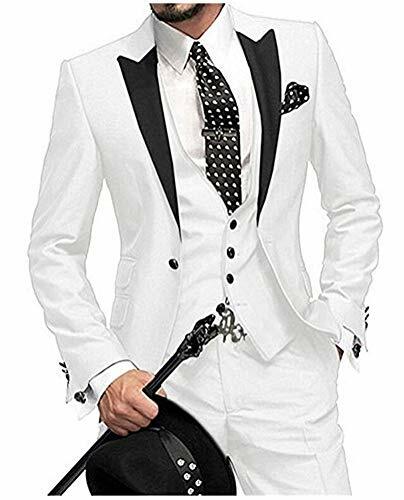 3.Fulfilment by Amazon Sweet Tips: 1.Garment care:Dry Clean Recommended;Do not Bleach;Line Dry;Low Iron before you wear it If Necessary;Hang on the suit when you do not wear it. 2.It'll be highly-appreciated for leaving a positive review if satisfied after receiving. 3.Feel free to contact us if any questions before ordering and after-sale issues. 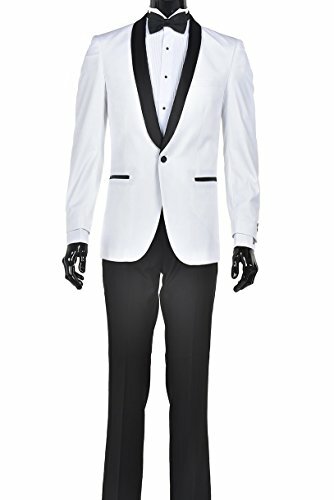 Nice choice for wedding party,nightclub,dinner,prom party or business formal occasion. Please note that buttons and ties might be not same as the model picture,hope you do not mind. please choose the size refer to the below measurements details.All the measurements are in inches. Size:34"Chest/28"Waist----Chest34"---Waist28"---Shoulder17.75"---Height 5'6"-5'9" Size:36"Chest/30"Waist----Chest36"---Waist30"---Shoulder18.25"---Height 5'6"-5'9" Size:38"Chest/32"Waist----Chest38"---Waist32"---Shoulder18.75"---Height 5'8"-5'11" Size:40"Chest/34"Waist----Chest40"---Waist34"---Shoulder19.25"---Height 5'8"-5'11" Size:42"Chest/36"Waist----Chest42"---Waist36"---Shoulder19.75"---Height 5'10"-6'1" Size:44"Chest/38"Waist----Chest44"---Waist38"---Shoulder20.25"---Height 5'10"-6'1" Size:46"Chest/40"Waist----Chest46"---Waist40"---Shoulder20.75"---Height 6'-6'3" Size:48"Chest/42"Waist----Chest48"---Waist42"---Shoulder21.25"---Height 6'-6'3" Size:50"Chest/44"Waist----Chest50"---Waist44"---Shoulder21.75"---Height 6'1"-6'5" Size:52"Chest/46"Waist----Chest52"---Waist46"---Shoulder22.25"---Height 6'1"-6'5" Tips:there will be 0.5-1 inch difference on the size due to the manual measurements,hope you can understand. Our Suits can also be custom made,Please feel free to contact us if any questions.